Cobbled streets, waterways, tiny thatched cottages covered with roses, secret gardens and wooden bridges – Dutch villages can be a delight. So this is a totally subjective compilation of places we think worth checking out – and which (we hope) won’t be totally full of coach loads of tourists. 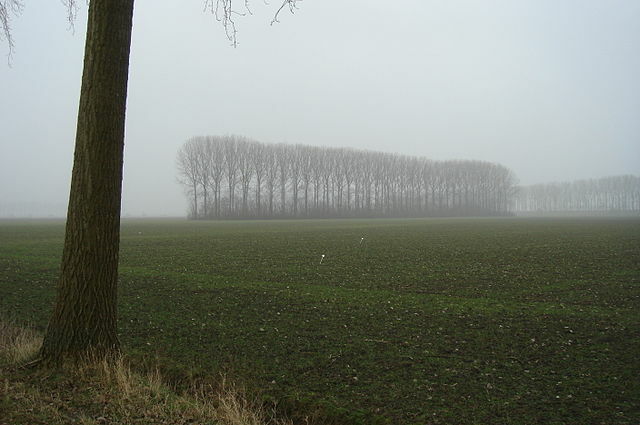 Appingedam first evolved on the banks of the Delf river in around 1200. With open access to the sea, it was somewhat prosperous and second only in importance in the region to Groningen. It enjoyed a resurgence as an industrial centre in the late 19th century and was home to the Appingedammer Bronsmotorenfabriek, which made ships motors until 2004. 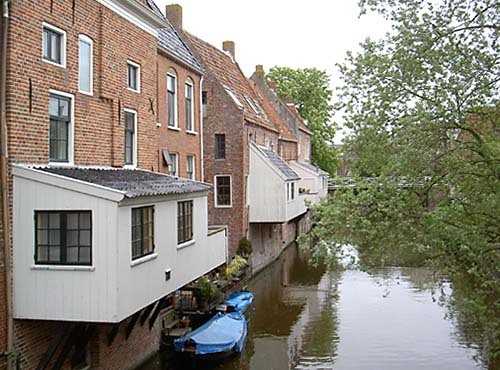 Appingedam’s most famous attraction is the hanging kitchens above the Damsterdiep. The leafy star-shaped fortified village of Bourtange in Groningen province has pretty houses, a charming central square and several museums and fortifications to poke around in. 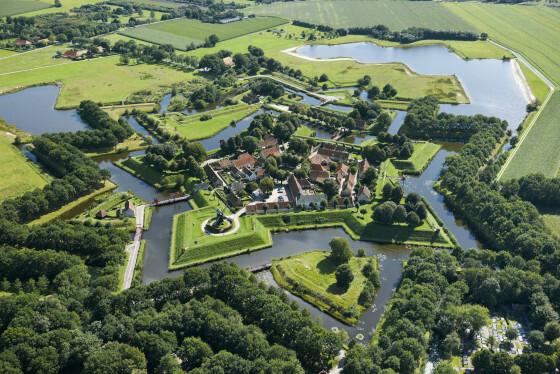 Totally renovated in the 1960s, Bourtange was built way back in 1593 to control the only road between Germany and the city of Groningen. It is now a big draw to German tourists from just over the border – so avoid public holidays. 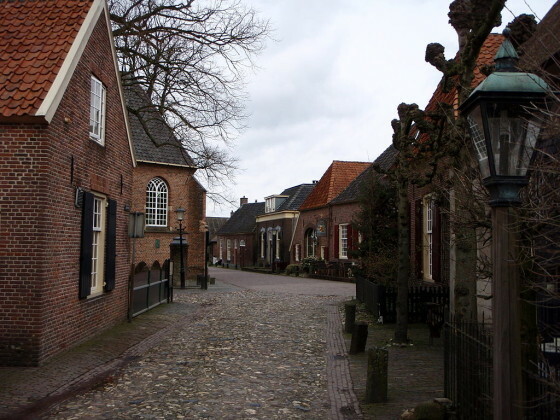 Bronkhorst, in Gelderland, is technically a city but only has around 170 inhabitants. It used to be a lordship and its earliest known lord – Gijsbert – was first mentioned in 1140. Bronkhorst is just a stroll from the banks of the river Ijssel and has a nice little museum devoted to Charles Dickens which was set up by local fanatics. If you make a day trip of it, there are lots of castles to gawp at in nearby Vorden. Less than an hour north of Amsterdam, De Rijp is a village of cottages with some grander buildings in between. You can rent a little electric boat and tour the waterways of the Beemster polder and there are some nice walks across the fields, if you really want to go off the beaten track. Information at the tourist office in the town hall. Popular with Dutch day trippers, there are lots of nice places for lunch. 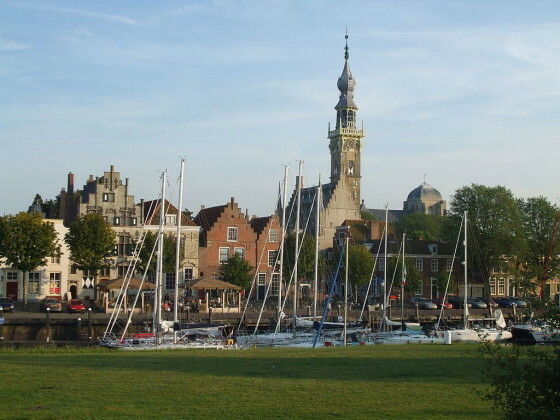 Granted city rights in 1237, Doesburg has a strategic position along the Oude IJssel and Gelderse IJssel rivers, which helped boost its prosperity. 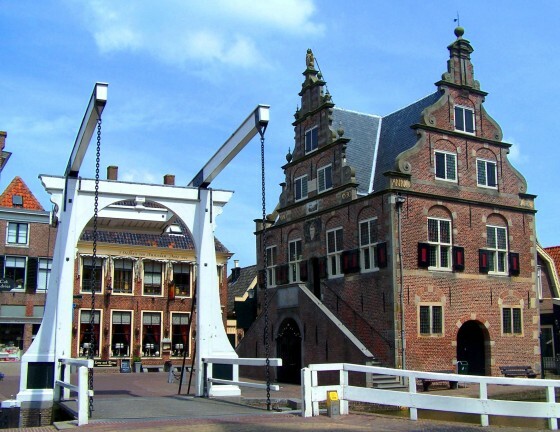 Top attractions include the Doesburgse mustard factory and weighhouse (de Waag). The town also has a museum dedicated to the work of René Lalique with some 250 items of jewellery and glass and a cafe devoted to Elvis Presley. The dyke village of Durgerdam to the north east of Amsterdam dates from the 15th century and has a splendid view over the Buiten IJ – even though Amsterdam is encroaching on its skyline. Of the 100 or so wooden houses, 73 are listed buildings. There is nothing much to do apart from walk or cycle along the waterfront, watch birds and admire. The sunsets can be particularly fine. If you are a cyclist, a trip taking in Uitdam, Ransdorp and Zuiderwoude as well is highly recommended. There are also buses, of course. Elburg is one of the Netherlands oldest settlements and was completely rebuilt in the 14th century, giving it the square street pattern it has today. The town’s museum is housed in the imposing 15th century Agnieten convent. Opposite is a little house built into the old town walls – the muurhuisje – which is open to the public. Eext, in Drenthe, is a charming village of thatched farmhouses and wide open spaces, with a few fine places to eat, a couple of hotels and a tiny museum. 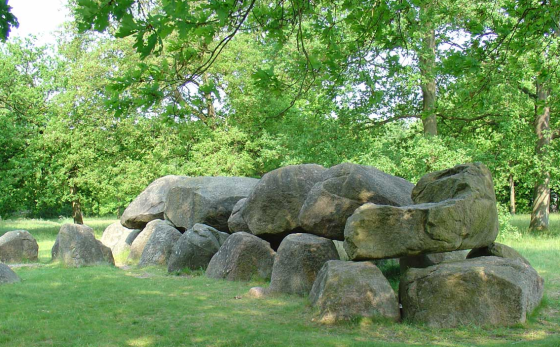 It is also home to a couple of hunebedden or megalithic burial chambers. Hotel Rikus is very reasonably priced, grows its own veg, serves massive breakfasts and organises bikes or walking tours for those that want them. 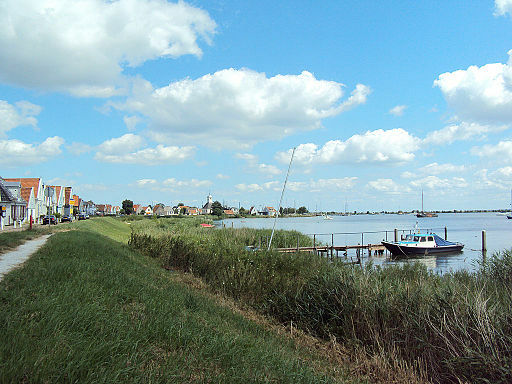 Hindeloopen is a little port town in Frisland, and one of the province’s 11 cities. The Hindeloopen painting style – flowers and curly cues on a white, green, red or blue background – is the town’s main claim to fame. The people of Hindeloopen couldn’t get enough of it and covered absolutely every piece of furniture in it. The Hindeloopen Museum has lots of examples and more Hindeloopen history – including skating – besides. The village of Thorn in Limburg dates back to the 11th century and was home to an important convent for ladies of the nobility around that time. The white houses date back to the village’s occupation by the French in 1794. They, so the story goes, introduced a tax on windows. The good folk of Thorn were said to be so poor that they bricked up their windows and whitewashed their homes to disguise the fact. Thorn has a small museum and a nice selection of cafes. Grand cafe Het Stift has a wide selection of local beers. Veere in Zeeland is a gem of a village with some splendid medieval buildings and an enormous church (1348) that Napoleon’s soldiers used as a military hospital. Veere’s wealth stems from its position as a major port in the wool trade with Scotland back in the 15th century. The Schotse Huizen museum on the waterfront is well worth a visit. 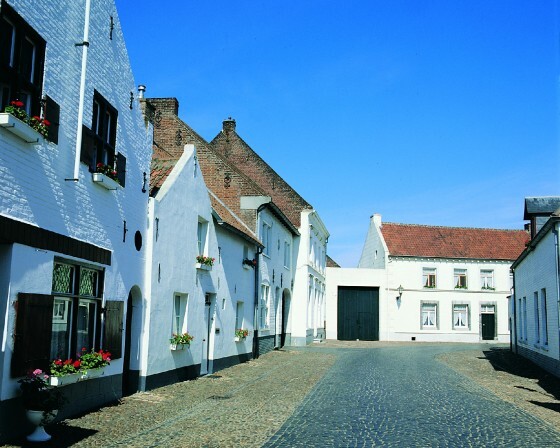 Our favourite place to stay is the Auberge De Campveerse Toren – built into part of the town walls. 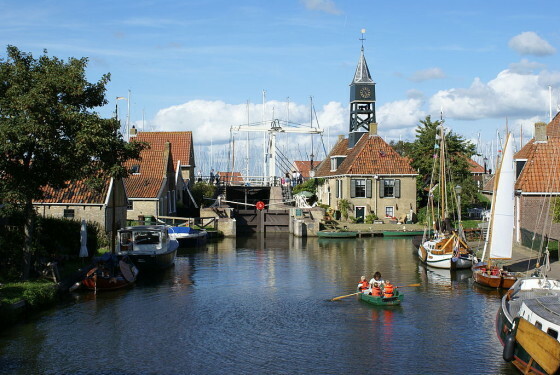 Veere can get very busy in the summer so we recommend a winter weekend away. Please note that Giethorn, the thatched cottage idyll where the locals get around by boat (ha ha), is such a massive tourist trap that we think it is worse than Venice and only worth visiting on a cold misty morning in November when no one else is around.